Welcome to Alcove Restaurant & Lounge. 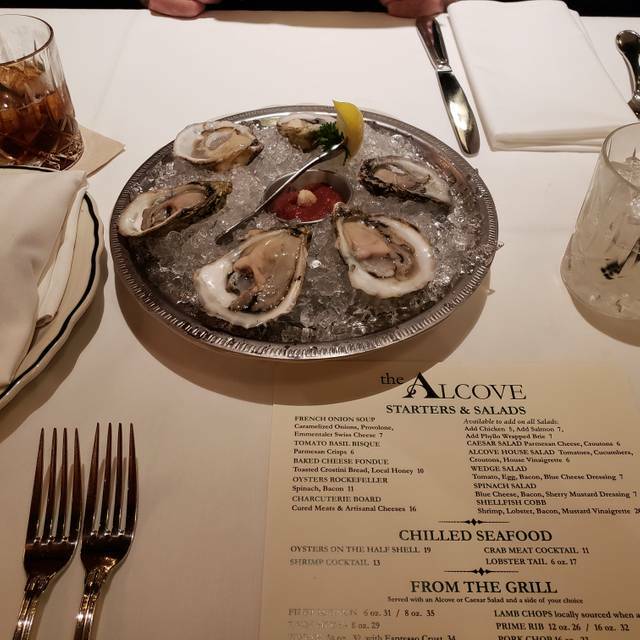 Founded in 1911 as a small ice cream and candy shop in the heart of downtown Mount Vernon, Ohio, The Alcove Restaurant strives to serve the finest in dining experiences in Central Ohio. Using the finest of ingredients, our diverse menus including steak and seafood favorites, delicious salads, and our signature Prime Rib of Beef, you will be sure to find something you enjoy! Join us in our spacious dining room today to Experience Casual Elegance! Excellent meal in pleasant surroundings. This is my third visit to the Alcove for a Saturday night dinner. Each time I have had a different dish and they have all be excellent including seafood twice and pork chop. Wine list seemed fine - ordered glasses off the menu and were mid range. Prices were very competitive. Will continue to patronize this restaurant even though it is more than an hour's drive. The Alcove is a true gem in a small town. We drove 1.5 hours to meet our niece, who was staying near Mt. Vernon. The hostess greeted us pleasantly, and sat us at a requested area that was a little more private so we could visit and talk without bothering others, since we’d not seen our niece in several years. Wonderful classic ambiance. The waitress was attentive without being obtrusive. Hubby ordered a Manhattan, which he said was delicious. I had wine, my niece had beer. The waitress explained the special of the day, then left us alone to talk for a few minutes before coming back to take our order. Shrimp cocktail and lobster cocktail were ordered for appetizer. Both were delicious. I would suggest offering a seafood pick or small fork for the lobster cocktail - we had a hard time getting it out of the shell with a regular fork. 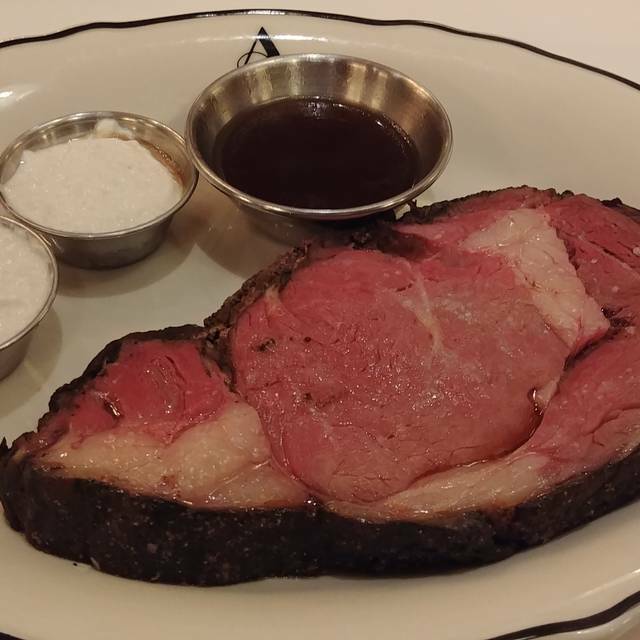 We all ordered the prime rib, 12 and 16 oz, and the reviews I’d read of the prime rib were spot on. It was melt-in-your-mouth delicious, and seemed bigger than 12 and 16 oz! Hot and cooked exactly as we ordered. Hubby loved the au jus, and the horseradish sauce was wonderfully thick and not too spicy. My green beans were perfect - tender crisp, and hubby’s asparagus was cooked perfectly. Their house salad was cold and delicious, especially their house dressing. They need to bottle that dressing. The rolls were hot and soft, and the butter was soft, too. No tearing up the roll with cold, hard butter. We split the apple cobbler for dessert, and it was hot and sweet and scrumptious. I had coffee after dinner, which was brought in a little pot and stayed hot through the three cups I had. Our waitress would walk by and keep an eye on us, but was never intrusive or constantly asking if we needed anything. She just seemed to know when we needed her. Every dish was brought in a timely manner, and dishes cleared quickly when we were done. But not once did we ever feel rushed. Don’t pass this place up! They always have great specials. Everything cooked perfectly and the service is excellent. The ambiance is unsurpassed even in the finest restaurants. This is a real gem in this little gem of a town. Rhonda, as always, was a wonderful Hostess; personable and friendly. Our Server Casey was extremely efficient, attentive and helpful throughout our lunch experience. Such a fantastic place! The atmosphere, service and food are exceptional! We have been recommending to everyone we know and will definitely be back soon! The food, service and ambience is very nice. I would recommend this restaurant to all my friends and acquaintances. Love the Alcove! Food always wonderful. Service excellent! Mount Vernon so blessed to have this great restaraunt! Very nice restaurant you’ll sure to enjoy. Very reasonable wine list with a nice selection. Really enjoy the atmosphere & the staff is super friendly! Food was expensive and poorly prepared. The bar was too loud to eat in. We’ve been there twice and it was a poor experience both times. We will never go back. 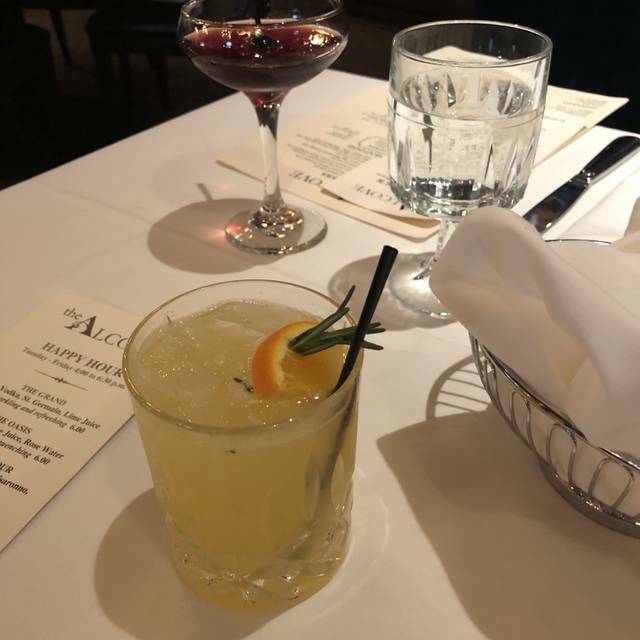 We've been to the Alcove a few times since their reopening and have enjoyed our food and experience. This time, there was a large group of college kids who felt it necessary to ruin the experience of all those around them but being loud and using pretty extreme vulgarity and profanity. They're young so may have confused what is designed to be fine dining with a bar. Not sure, but we did ask to be moved and was accommodated almost immediately, even with it being a busy Saturday evening. The staff was apologetic and very understanding and we appreciated their quick reaction. The good was delicious as we have come to expect and the cocktails were perfect as well...we had to order another. For the cost, we were disappointed in the very lacking charcuterie board for the price. The presentation was beautiful but you cant eat creativity. Maybe add some olives and an additional salami or dried meat. The board was overwhelming the minute portion size. Otherwise, we will be back for sure. Everything was excellent! Everyone in our party had different menu items and we were all very pleased with our meals. From the beginning to the end, we loved everything! Beautiful classic restaurant within walking distance of the Grand Hotel. To begin, my husband and I both enjoyed the French Onion soup. It was just as delicious as you would expect. I got the special which was coconut scallops with couscous which came with a side salad. The house vinaigrette was perfect. The entree presentation was beautiful with a drizzle of a hot sauce on the plate that you could dip the scallops in, or not, however you prefer. 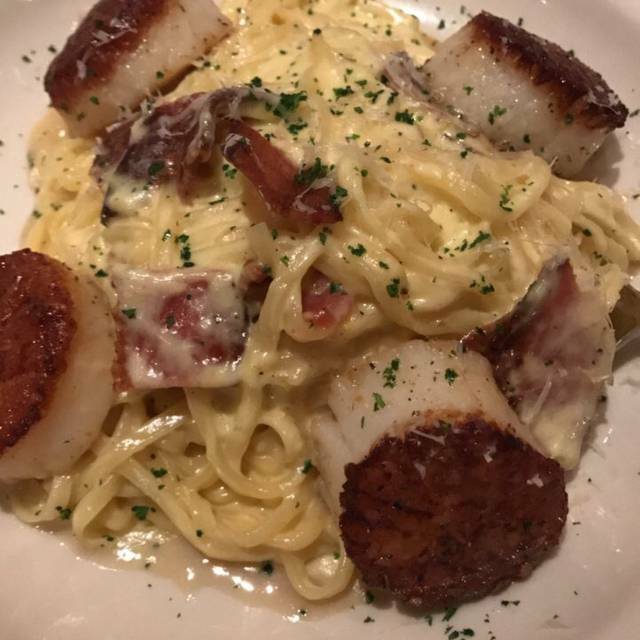 The scallops were done perfectly. I loved the coconut preparation. My husband had the pecan crusted trout. The fish was nice and flaky and the accompanying sauce was to die for. Definitely a dish he would order again. We ended our meal by sharing the blood orange creme brûlée. Nice flavor and just the right amount of sweetness to end the meal. All in all, I highly recommend this restaurant if you are looking for a special eating experience that will not be rushed. Great service! The wait staff was very attentive. My husband and I popped into the bar for a quick meal. Had an excellent time! There were 4 of us ladies, and we enjoyed every bite. They make the best grilled salmon there. We splurged and had dessert. The apple crisp and sorbet are wonderful! It is nice they served gluten-free rolls to 2 of our ladies who needed them. We love the atmosphere, service, menu. The drink selection is wonderful. It's always one of our favorite places to eat when we are in town. Drove over an hour to eat here for Birthday outing with another couple. Service was excellent from start to finish. It is nice, though unusual, to see wait staff helping each other out. Our water glasses were kept full and dirty dishes removed quickly the entire time. All of our apps, entrees and desserts were excellent. It is a beautiful venue. Very clean and nicely decorated. We would definitely return. Our fondue appetizer was great. The wait staff was very good about keeping water glasses filled. Our waitress was friendly and helpful. We were seated at a round table almost in the path of wait staff delivering dishes from the kitchen and customers going to the restrooms. Our food was mostly good. The biggest disappointment was waiting for our entrees. Our meals didn't arrive at our table until 30 minutes after our salads. It was too long to wait. We will most likely return but no time soon. Server was excellent in following up on the orders while making sure our drinks were topped off. Overall, an excellent experience. 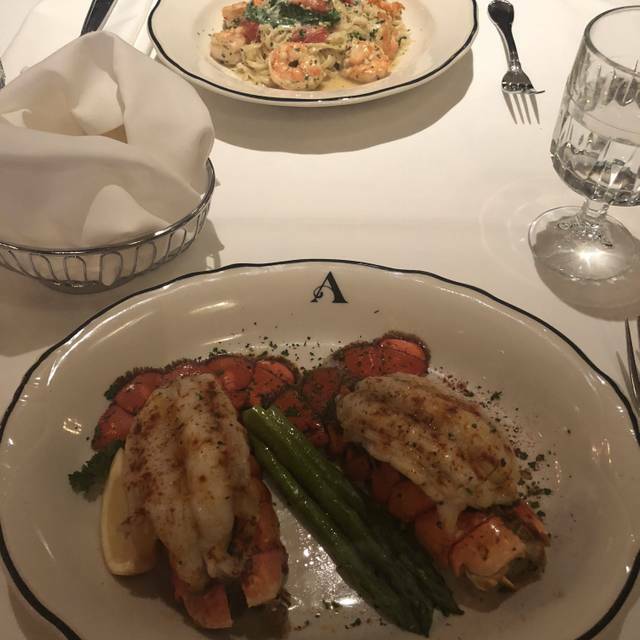 Love this Little Gem - 2nd time me and my husband have drove from Columbus to dine here and it did not disappoint - Great value for money better than any Columbus high end steak house where you would have to double the bill! The Alcove is such a relaxing atmosphere, especially since the waitresses are so considerate and attentive to what you may need and give you time according to what amount of time people at the table are taking with their order choices. The food is served at a good temperature, well presented, great choices and sauces too. Thank you for a consistent, dependable meal. This is truly a great restaurant for any occasion. We had an amazing time at the Alcove and I’d highly recommend it anytime you are passing thru Mt. Vernon. The ambiance and the staff were very pleasant and a perfect place to go for a cocktail or dinner. Excellent food and we will definitely be back. $12 Bruschetta was served on burnt, cold, stale bagette that crumbled to bits when you bit into it...if you even could. Caesar salad was made from the bitter bottoms of the lettuce with very little greens. Server never checked back, sat 20 minutes past reservation, were there 1 hour At the table and no entree arrived. Disappointing attempt for our Valentine dinner. Had to go home and cook. So disappointed. The food was very good. Our waiter was pleasant and kept checking on us. It’s a very nice place. The Alcove may be the best restaurant between Cleveland and Columbus. Having dined in some of the finest restaurants in Chicago, St. Louis, Indianapolis, Los Angeles, Dallas/Ft Worth, Nashville, Montreal, Quebec City, and Toronto, I know there is room for improvement (if the demographics will support it). Service was IMPECCABLE! Rating food is very subjective. My wife stated lamb chops were a bit fatty. I thought the trout was good but could have done with a little less pecan topping. Crab appetizer was great as was the cheese and fruit plate. Very nice wine selection also. We went on Valentines. The violin player added so much to the evening. The food was excellent Thank you for a memorable evening. Valentine's Day was our first visit to The Alcove. The food, service, and atmosphere met our expectations for quality and price. We had a wonderful experience and will return. From the warm greeting as we entered the Alcove to the very capable and helpful wait staff to the beautifully prepared meal, our evening meal was exceptional. We absolutely enjoyed our evening. I jut wish the menu had more variety so that it could become a go to restaurant for dinner. First time! Dinner before a concert. Server was aware that we needed to be in and out for the show. Excellent steaks, drinks and desserts. Plan 2 hours for whole experience! Beautiful decor. Traveled from Columbus. We also heard about the dinner/play option the restaurant offers, which is located on the second floor, so we will be back. We had dinner on a very busy night. The service was great and the staff very attentive despite how busy it was. We eat here often and the food is always good but this night, impeccable! Please never leave Mt. Vernon, we love this place! The alcove restaurant far exceeded my expectations. The food was delicious and well presented. I would certainly go again. It was wonderful. We will definitely be back again and again. Our friends from out of town thoroughly enjoyed it!! As did we. The real reason to experience the Alcove is for the food, which is prepared exquisitely! Best restaurant in a town whose options are limited to fast food and/or mediocre chains. Ambiance is "average;" service relies on persons who seem to be working while in school or holding on to other part-time employment, all of whom appear eager to please and seem competent. Wish the menu contained a bit more variety and/or changed with greater frequency; but the food offered compares favorably with any top-star restaurant nation-wide. We had made reservations (for 7:00 PM) because we wanted to impress our out of state friends, who were visiting, with a great dinner. We had a short wait before being seated, which was okay. As we sat down at our table we were greeted by our waitress, who asked if it was a special occasion that we were celebrating. I responded that we had out of town guests and that we were honoring my wife's birthday as well. "Oh, okay. She will get a free dessert", was the reply. We gave our orders prior to 7:25. At 8:50 our food started to arrive. The two baked potatoes, that were ordered, were not warm enough to melt the butter, in fact they were cold. The chicken that came was dry. And, the grilled cheese sandwich that arrived did not have the tomato on it as it had been ordered. Four people, four dinners, not one was up to the standard that we expected from your kitchen. We were not charged for the tomato-less cheese sandwich and $10.00 was removed for each of the cold baked potatoes. Upon hearing our plight, we were told that along with the reduction of our bill as indicated above, that our desserts would be free of charge as well. When the bill arrived they were not, not even the birthday girl's was free. Needless to say, we were very embarrassed, and very unhappy with the experience. Impressed?? They were not; we were not. Un-impressed, very!